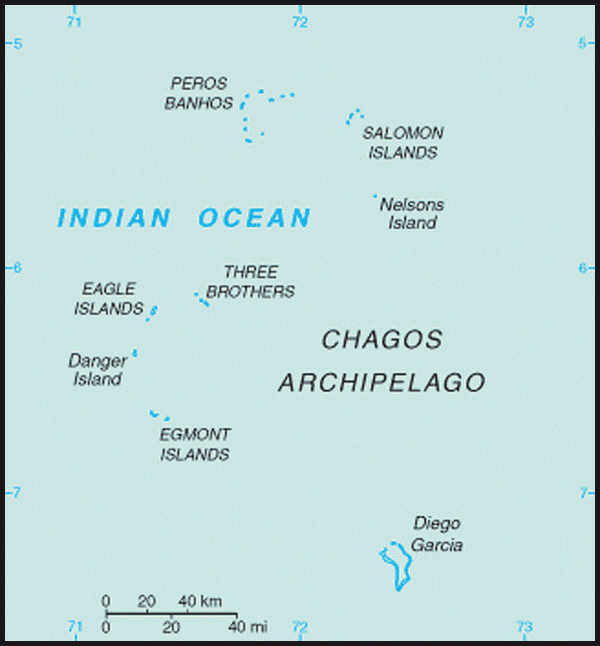 Population: To give effect to the decision that the islands should be set aside for the defence purposes of the UK and the USA, the Chagos Archipelago, together with certain islands in the Seychelles group, were detached in 1965 from Mauritius and Seychelles and the settled inhabitants, some 1,200 persons, were subsequently relocated to those two countries. Since then, the only inhabitants have been UK and US military personnel and civilian contract employees, all living on Diego Garcia. 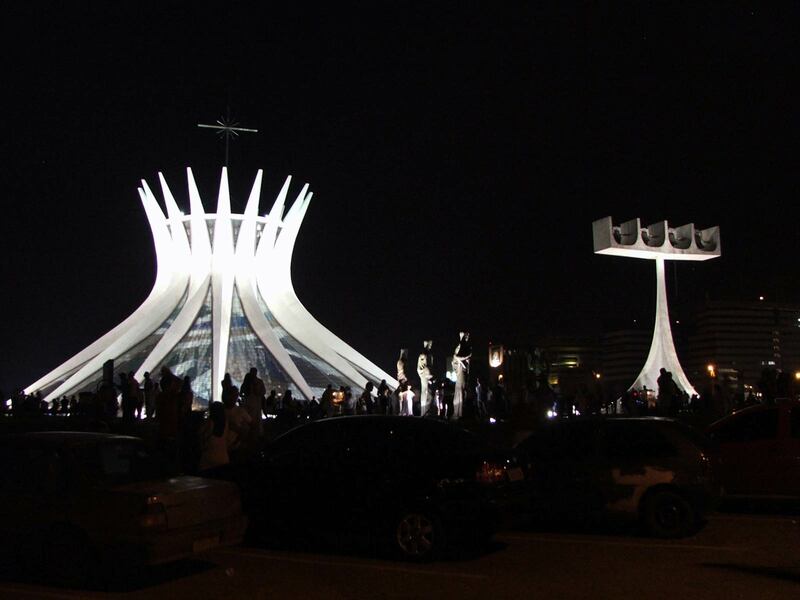 In November 2004, these numbered approximately 4,000 persons. (The islands that had been detached from Seychelles were returned to Seychelles in 1976). Commissioner's representative: Officer commanding the British Forces complement on Diego Garcia. There are no economic, industrial or agricultural activities on the islands. Construction projects and other services in support of the US defence facility in Diego Garcia are carried out by UK and US military personnel and civilian contract employees, mostly recruited from Mauritius and the Philippines. During the Napoleonic wars Britain captured Mauritius and Réunion from the French. Under the treaty of Paris in 1814, Britain restored Réunion to France, and France ceded to Britain Mauritius and its dependencies, which comprised Seychelles and various other islands, including the Chagos Archipelago. All these dependencies continued to be administered from Mauritius until 1903, when the Seychelles group was detached to form a separate Crown Colony. The Chagos islands continued to be administered as a dependency of Mauritius until, with the full agreement of the Mauritius Council of Ministers, they were detached to become part of the British Indian Ocean Territory in 1965. At the same time Britain paid a grant of £3 million to Mauritius in consideration of the detachment of the Chagos islands. After the British Indian Ocean Territory had been created, the UK Government gave Mauritius an undertaking to cede the Chagos islands to Mauritius when they were no longer required for defence purposes. However, since the 1980s, successive Mauritian governments have asserted a sovereignty claim to the islands, arguing that they were detached illegally. The principal point of contact is Overseas Territories Directorate, Foreign and Commonwealth Office, where the BIOT government is based. 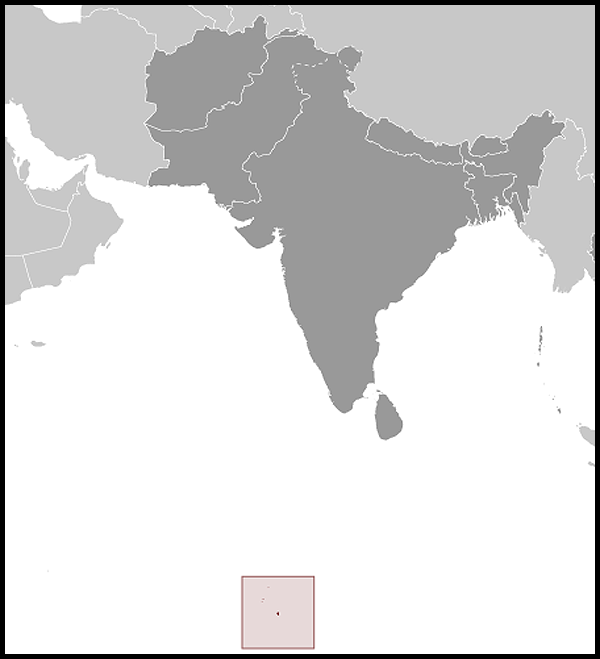 British Indian Ocean Territory (BIOT) lies about 1,770km east of Mahe (the main island of the Seychelles). The territory, an archipelago of 55 islands, covers some 54,400 sq km of ocean. The islands have a land area of only 60 sq km and 698km of coastline. Diego Garcia, the largest and most southerly island, is 44 sq km. The climate is hot, humid and moderated by trade winds. The terrain is flat and low and most areas do not exceed two metres in elevation. The constitutional arrangements for BIOT are set out in the British Indian Ocean Territory ( Constitution) Order 2004 and related instruments. The 2004 Order gives the Commissioner full power to make laws for the Territory. A series of UK/US Agreements regulate matters relating to the use of the Territory for defence purposes, such as jurisdiction over US military and other personnel.